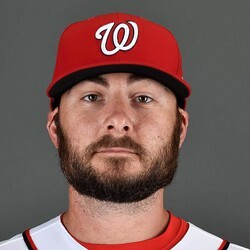 Clint Robinson will spell Ryan Zimmerman at first base on Wednesday. Zimmerman will get a half-day rest and play DH. Robinson has struggles mightily in 2016, batting only .087 in 13 games (2-for-23). He holds little direct fantasy value but anyone who can give Zimmerman a break from fielding will help him stay healthy through the year.